Two Firefly production companies are rapidly building momentum as they prepare to launch new, festival-bound, performance pieces this month. Based on an adaption of Barry Hines’ A Kestrel For A Knave‘, BiRD soars through a troubled world of economic depression and family chaos with an ache for freedom and the sure understanding that we all need to fly sometimes. 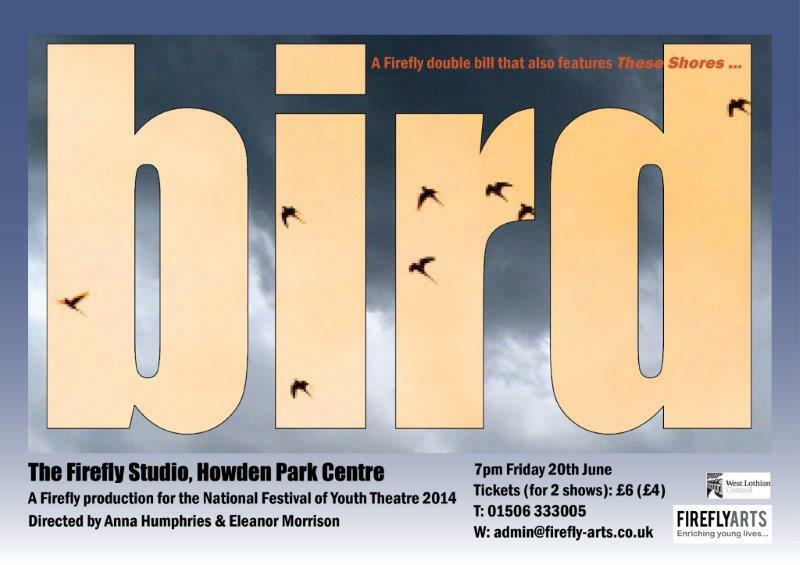 Featuring a cast of 10 young performers (14 -17 years) BiRD will feature in our double bill performance night on Friday 20th June at Howden Park Centre. You can also catch this production at the Rothes Halls Glenrothes, on 5th July, as part of Scotland’s National Festival of Youth Threatre. These Shores… brings together themes, film and cultural exchange generated though Firefly’s international exchange project with Quilt Theatre in Kingston, Jamaica. 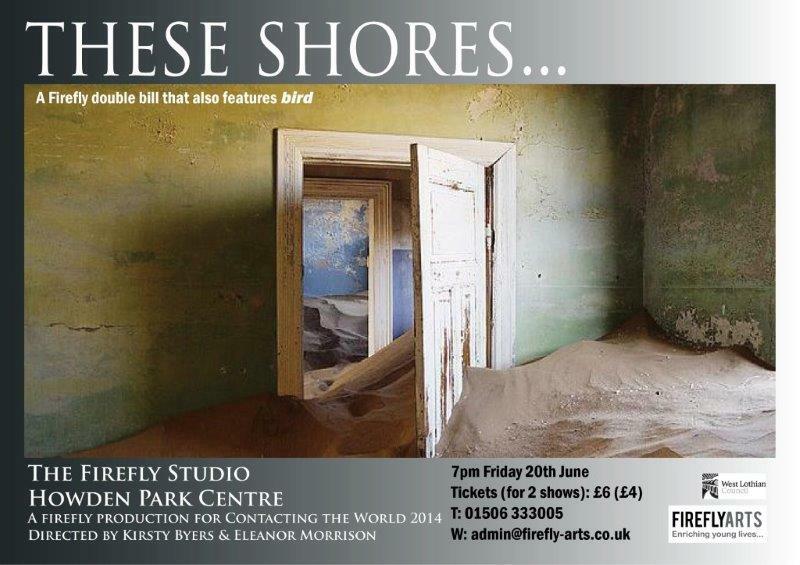 Supported by Contacting The World as one of 6 companies from UK, India, Iran and Jamaica, this cast of 8 young adults will perform here in West Lothian on Friday 20th June, before taking their production to Contact Theatre’s biannual International Festival in Manchester. Both events provide excellent and life-changing opportunity for young performers to share work, expand their horizons and build their artistic experience. Our thanks go to Contact Theatre, West Lothian Council and the Craignish Trust for their support.